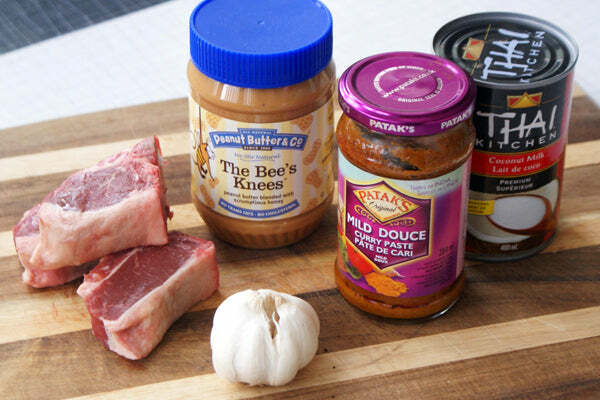 This coming Easter holiday season, if you’re looking for recipes that seem extra special but don’t take hours to prepare, you’ll love this recipe. 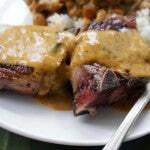 Lamb chops seem like a fancy special-occasion dinner entree, but in reality they take under 10 minutes to prepare, and if you do the math, may cost less than take-out! 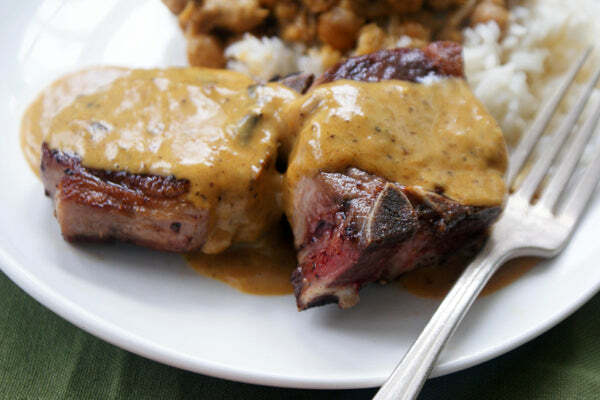 These chops are quickly seared in a hot pan, then topped with a curried peanut sauce. 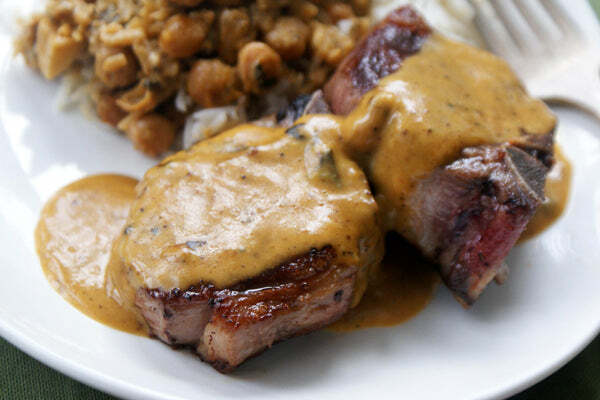 Try French-cut chops, which still have their long, handle-like bone, if you want to make lamb “popsicles” to serve at parties (serve the peanut sauce alongside for dipping); if they’re destined for dinner, serve chops with rice or potatoes and a side of something green – sauteed spinach or kale, broccoli, asparagus or green beans. 1. 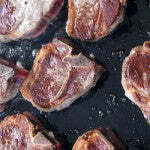 Pat the lamb chops dry with a paper towel and sprinkle both sides with salt and pepper. Set a large, heavy skillet (cast iron is ideal) over medium-high heat and drizzle in enough oil to coat the bottom of the pan. 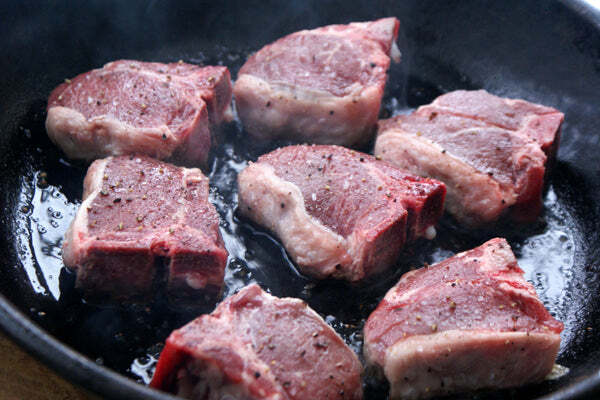 When the pan is hot, add the chops, without crowding the pan. 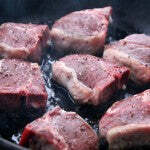 Sear on one side for 3-4 minutes, then flip and cook for another 3-4 minutes, until medium-rare. 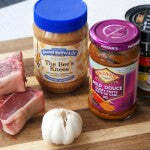 Transfer to a plate and cover loosely with a tea towel or piece of foil. 2. 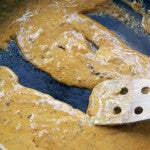 Add the garlic and curry paste to the pan and cook, stirring, for a minute; add the peanut butter and coconut milk and stir to blend and melt the peanut butter, scraping up any browned bits from the bottom of the pan. 3. 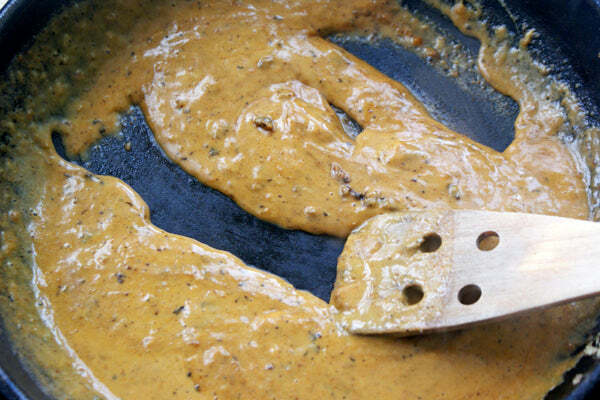 Cook for a minute or two, until well blended and thickened; add a bit of water or more coconut milk if the sauce seems too thick. 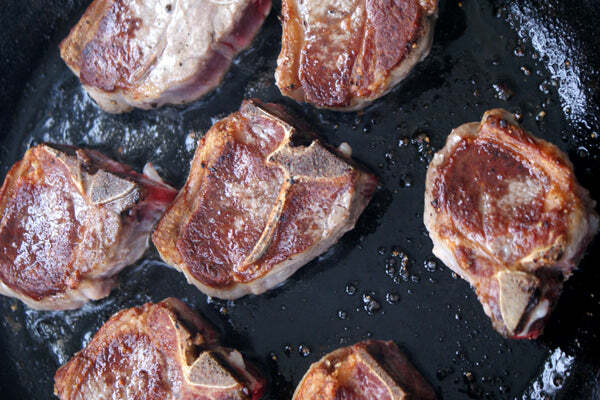 Season with salt and serve over the lamb chops. 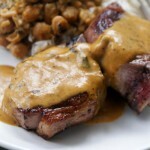 The post Seared Lamb Chops with Curried Peanut Butter Sauce appeared first on - Peanut Butter & Co. Recipe Blog.